Hello! 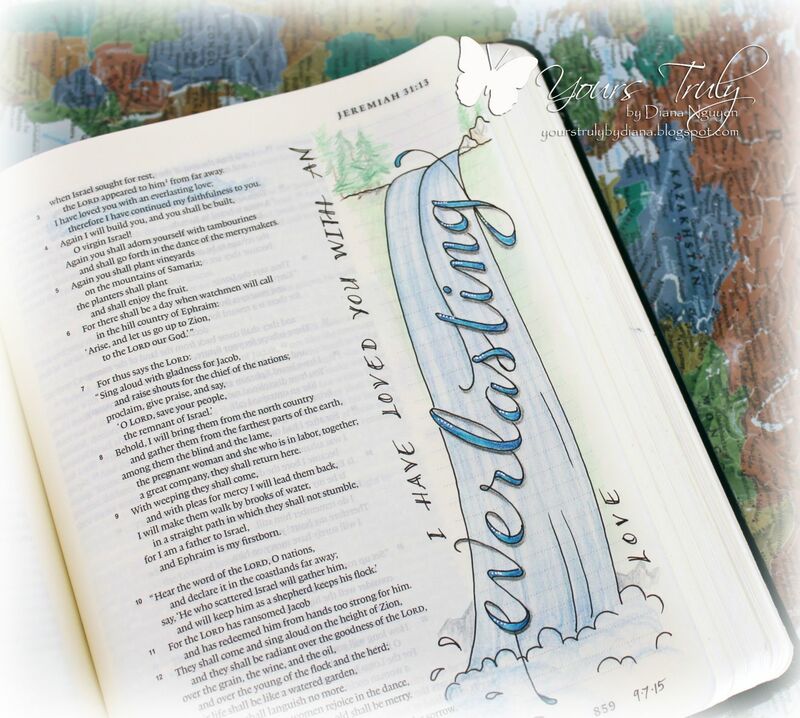 Just popping in to share a couple of pages I did in my Bible for the book of Jeremiah. I just love waterfalls - I think they are absolutely and amazing. Now, I know there is a scientific explanation as to why there is a waterfall and that it does sometimes dry up but it's still wondrous to me. We went to Niagara Falls this summer and have you seen how much water comes rushing down? And it keeps coming and coming.... you'd think it would eventually empty itself. And then I heard the song on the radio that has the lyrics "Your love never fails, it never runs out on me" and it just brought to mind the image of a waterfall. It's powerful, it's overwhelming, and it's amazing. So here's my take on Jeremiah 31:3. Both were done using Micron Pens, white gel pen, and coloring pencils. Thanks so much for looking! Both pages made the hair stand up on my arms and they are so touching. It's lovely to see these journaling Bibles. I must get one. Celebration Week at WAW! Thank you so much for taking time to post your very creative art with us this week at Word Art Wednesday in our 200th challenge. 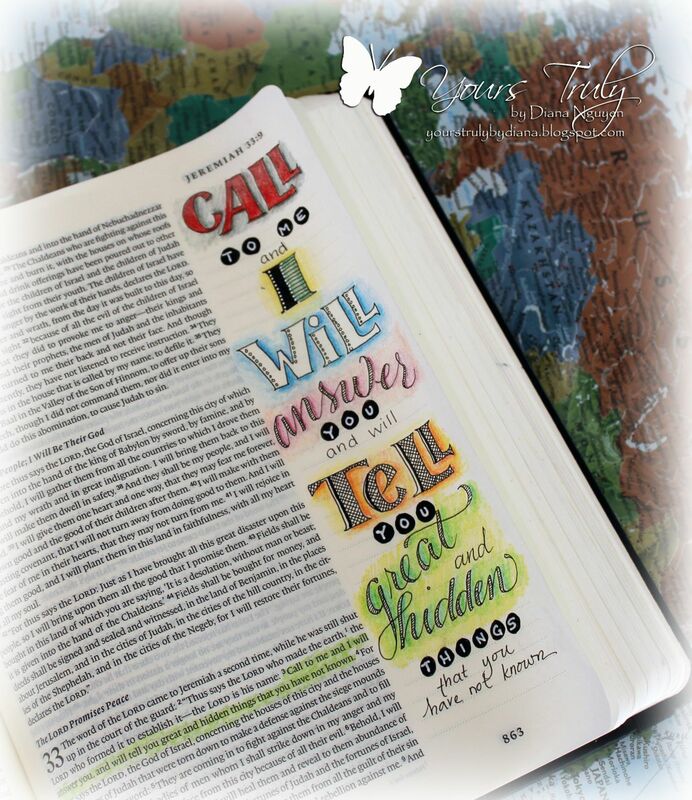 This Bible Art is awesome!! I write all over my Bible but I haven't done any art in it! This is really gorgeous. So glad you have joined in our celebration of 200 challenges at Word Art Wednesday! Thanks for playing along!! Absolutely stunning work, Diana. How creative and just so wonderful. What a blessing to have this shared with us. I am so very grateful to you for sharing your talents. Have a blessed week, my friend. May God shine His face on you and give you peace.